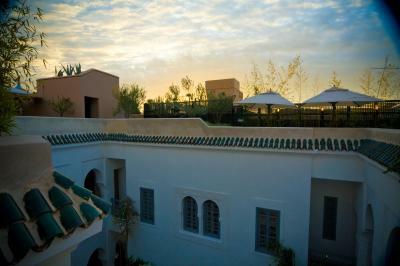 Lock in a great price for Riad Idra - rated 9.7 by recent guests. 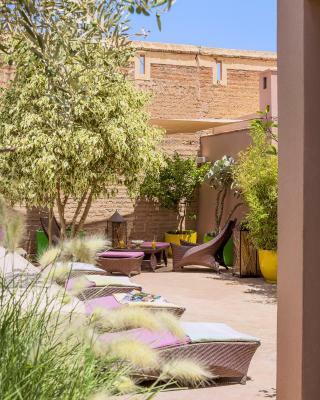 We had just arrived from miles and miles through Morroco to our last night stop and Riad Idra and their calm and friendly staff just made everything perfect! 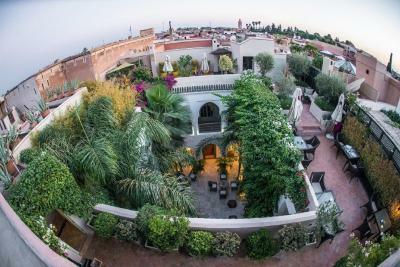 There was a member of the staff that picked us up in the car so we didn't get lost (although it is very easy to get there once you know it once) and the location is perfect for a walk around in Marrakesh. 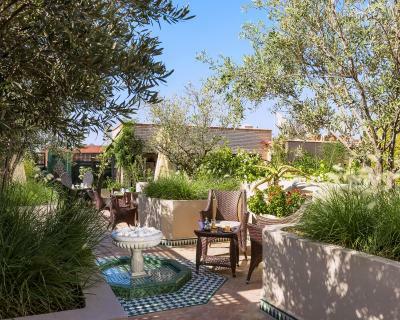 Our lovely Omar served us a very well cooked (not tajine :-)) lovely dinner on a very peaceful room and we had an amazing breakfast on the terrace (take a coat, as the morning air might be a bit chill, but it is simply wonderful to find that little oasis in the middle of the caos! 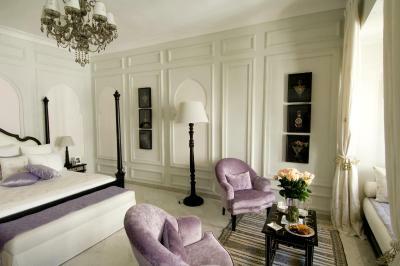 :-) The bed is HUGE and so comfortable and they even had the perfume I use for guests disposal!! Chanel Chance Eau Fraiche. 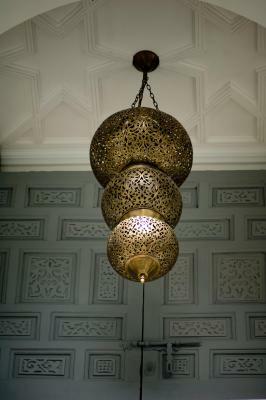 Everything was so full of gorgeous details! From the architecture to the staff and amenities. We loved it and will recommend, for sure! Absolutely fantastic in every way! 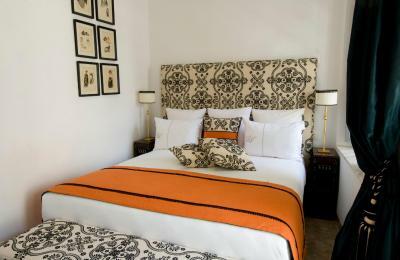 Beautiful Riad and rooms - every member of staff went above and beyond for us! We’ll all definitely be back! This hotel is a nice place with helpful staff. 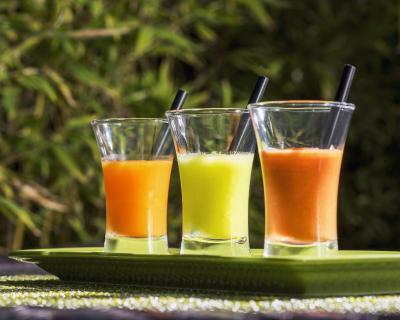 There is unique amenity, great breakfast and good location. We have a very nice stay in this hotel. It’s a very nice place.the employee there are friendly and also help me to book the bus tickets. 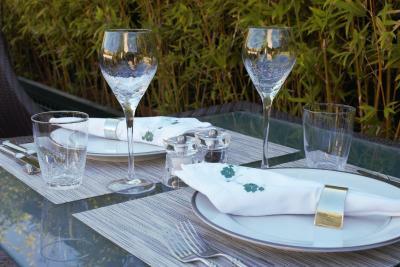 Arrange the breakfast before I left in 7:30(which normally start at 08:30) . 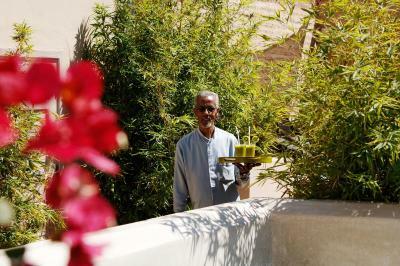 We really appreciated the special honeymoon welcome by staff - thank you! The breakfast was amazing. Omar was super classy, we really liked him. 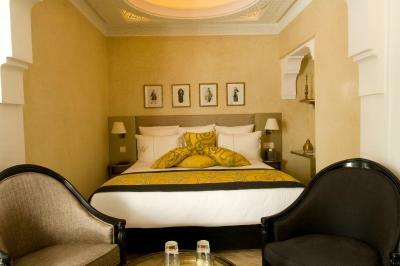 The room was very comfortable and clean. We liked all of the little touches, like flowers and perfume/cologne. This is the second time we stay there. Everything is perfect...cleanness and very good manager and team. Here is the palce we always like to be back again.. This boutique is unique one. Nice place to stay for vacation. The staff is helpful. 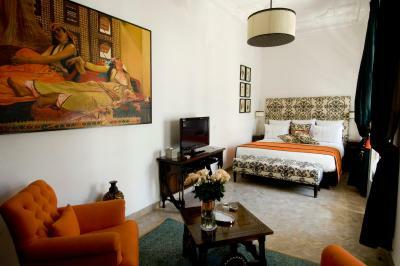 This riad is just a 10-minute walk from Jamaâ el Fna Square and the Ben Youssef Mosque. 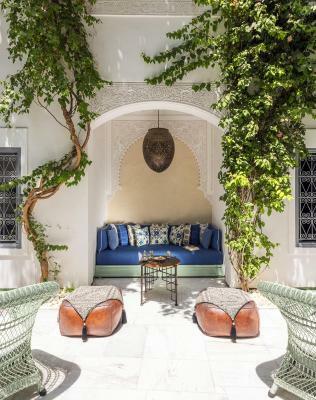 It offers a Moroccan lounge with a reading area. 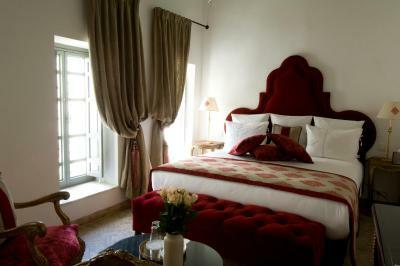 Riad Idra offers luxury rooms and suites with a seating area and views of the patio. 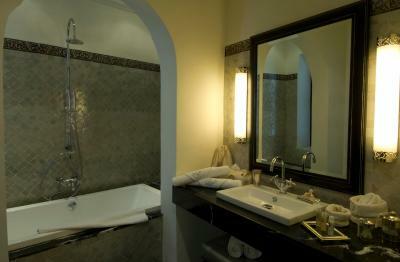 Each one provides a minibar and an LCD TV with satellite channels, while some also feature a private hot tub. 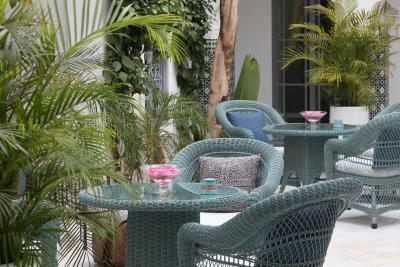 A continental breakfast is provided every morning on the patio, in the dining room or in your guest room. 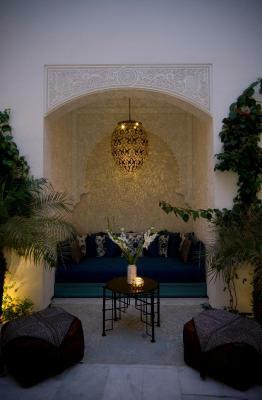 You can also sample the riad’s homemade Moroccan meals for lunch and dinner. 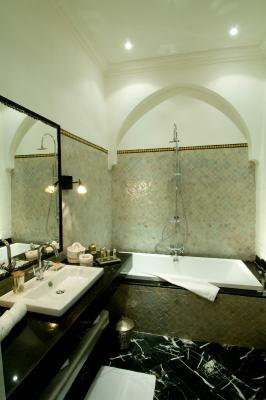 Additional facilities at this guest house include a traditional spa with a hammam and a massage room. 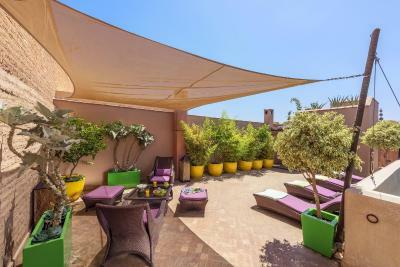 Free Wi-Fi access is available in the entire property and sun loungers are provided on the rooftop terrace. 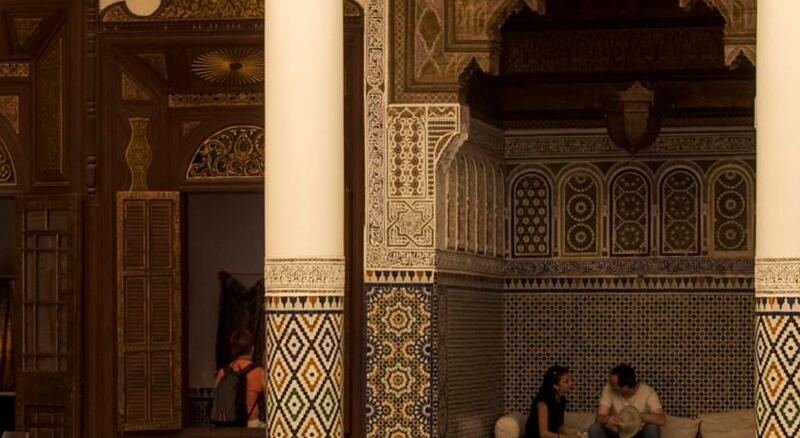 Transfers to Marrakesh-Menara Airport are available with an extra cost. 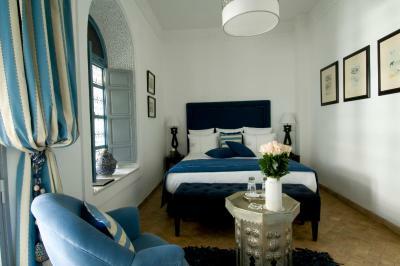 Riad Idra has been welcoming Booking.com guests since 30 Mar 2012. 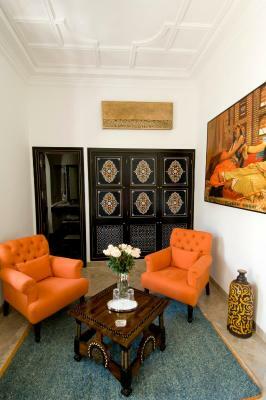 When would you like to stay at Riad Idra? 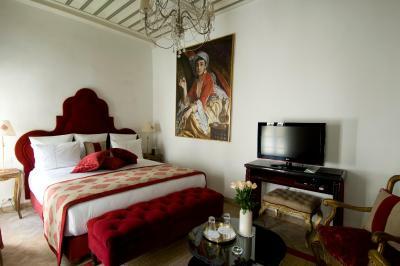 Views of the interior courtyard and a flat-screen TV with satellite channels are provided in all the rooms. 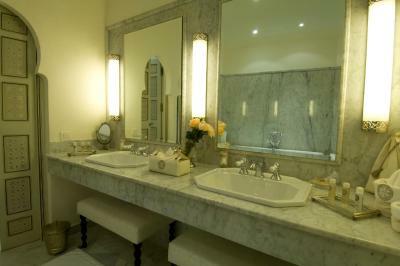 They also feature an en suite bathroom with bathrobes and slippers. Extras in this suite include a private hot tub. 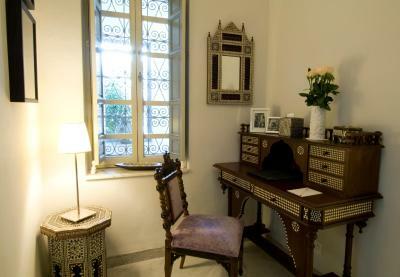 Our Riad is a small boutique of 7 rooms; All the members of our staff take care of all our guests. 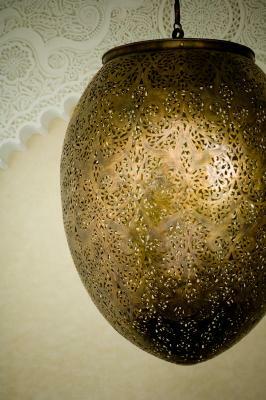 All the Riad Idra's guest are VIP guests to us and considered like family members. House rules Riad Idra takes special requests - add in the next step! 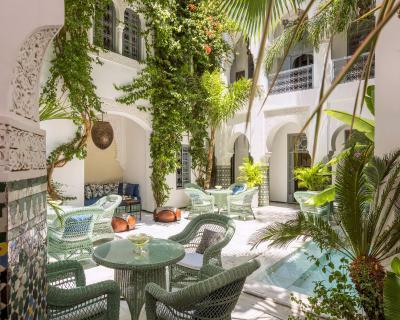 Riad Idra accepts these cards and reserves the right to temporarily hold an amount prior to arrival. Guests requiring airport transfers should arrange this with the hotel in advance. Contact details can be found on the booking confirmation. Please inform Riad Idra in advance of your expected arrival time. You can use the Special Requests box when booking, or contact the property directly with the contact details provided in your confirmation. 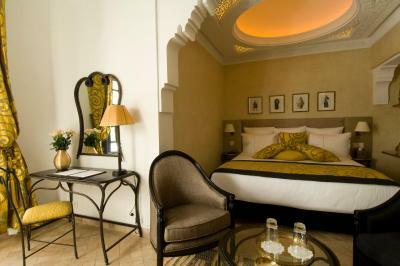 - What a warm-hearted and charming Riad. 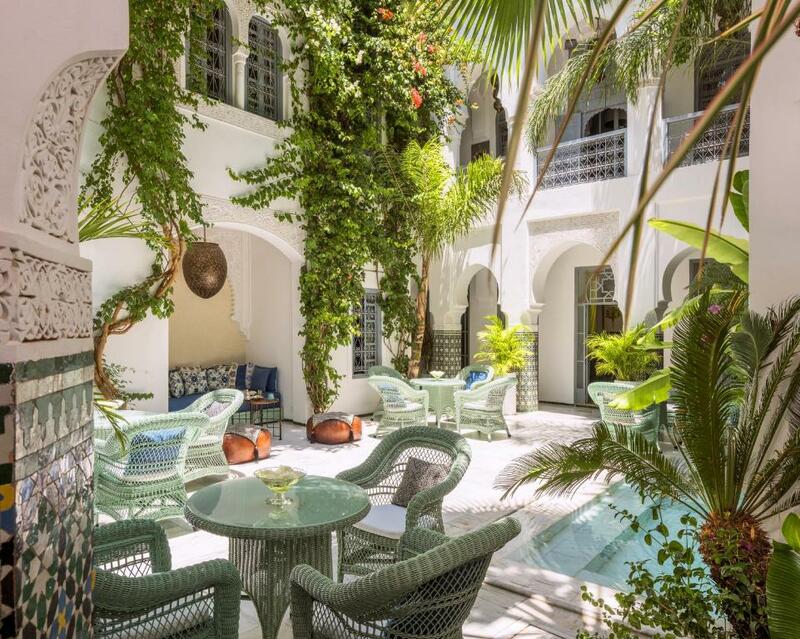 - Amazing property. Centrally, though quietly located. 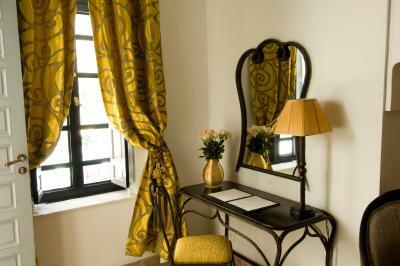 - The staff very friendly and providing very attentative service. - Excellent breakfast. - Clean room. 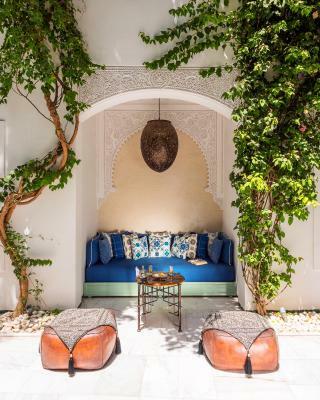 - Lovely rooftop terrace. 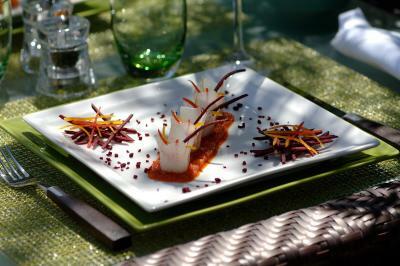 - The onsite restaurant. 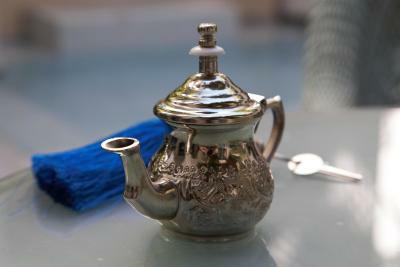 - Omar's mint tea. 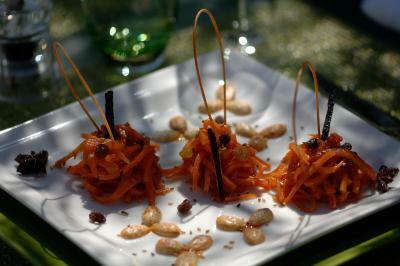 Service throughout is attentive and friendly and personal. 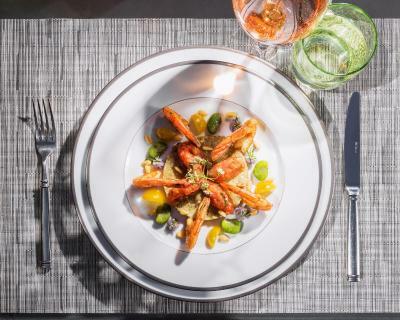 Hotel dining is world class-- nothing we found at any restaurant during our week was tastier or more elegantly served. 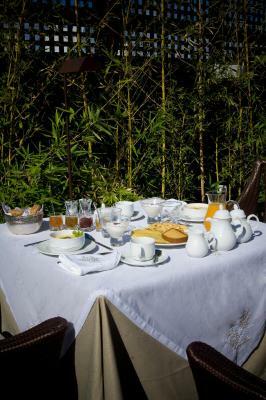 The rooms, the service and the breakfast! Incredible, friendly staff. Karine and Amine were so helpful with recommendations, booking our tours and dinner reservations, and just making sure everything was fantastic. 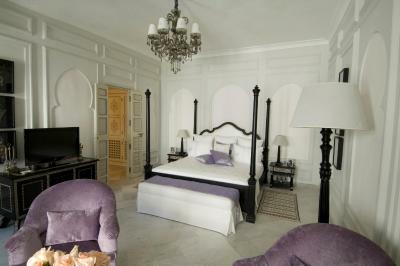 Beautiful room, staff went out of there way to make us comfortable and welcomed, and the hammam at the riad with massage was great! Love our stay! The staff was incredibly friendly. The food was delicious. The room was very comfortable. 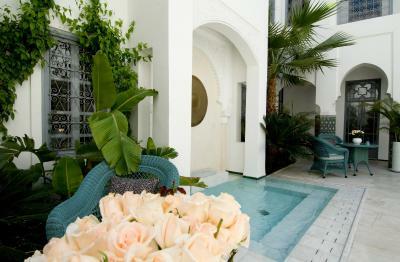 The riad is a very special place and a respite from the busy medina. 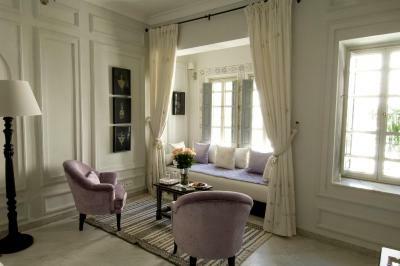 We stayed in the Aliyah suite with our daughter - the window bed was perfect for her. A true princess bed. 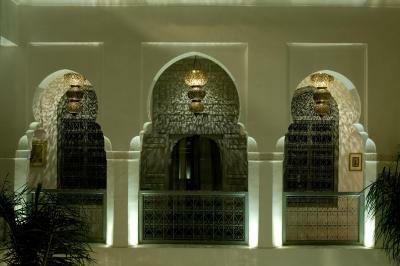 The dinner menu was very expensive relative to other riad's that were equally nice or nicer. That was very disappointing - we ended up not eating at the Riad due to this, though we would have liked to eat there for convenience. 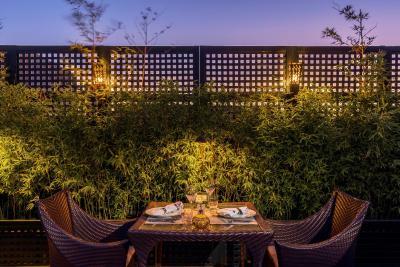 We also would have liked if the roof top terrace was open later so that when we returned from dinner we could have sat up there.